In October, 1857, Pasteur returned to Pairs, having accepted appointments as Administrator of the Ecole Normale as Director of Scientific Department of the College. There he sought a place for a laboratory. The Only space available was two small rooms in an attic: dark, unsuitable, hot in summer, cold in winter. Nevertheless, Pasteur made the best of them and was able to continue his research. A year later, he moved to a slightly better suite of five narrow rooms. A hidden incubator installed under a stairway could be approached only on his knees. Finances for laboratory operation came largely from Pasteur’s own pocket. 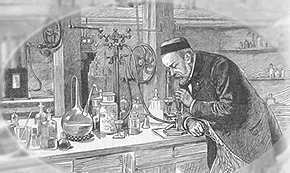 However, as his associate, Emile Ducal, said in later years, “From this wretched garret, which nowadays would hardly be considered fit for a rabbit’s cage, radiated the movement that has revolutionized, all aspects of science.” In these laboratories Pasteur continued his studies on fermentation, culmination in a paper before the Academy of Sciences in 1859. From alcoholic fermentation Pasteur processed to study lactic fermentation; then to butyric microoganisms. 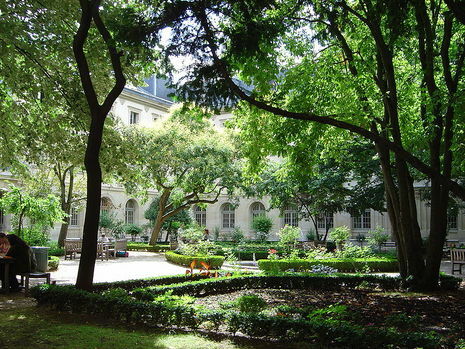 Fermentation studies in these laboratories at the Ecole Normale let to Pasteur’s greatest and most revolutionary contributions to science-study and refutation of the theory of spontaneous generation, undisputable proof of their specificity in causing disease. These studies began in 1860.